US National Security Advisor Gen. HR McMaster recently paid a short visit to Afghanistan, Pakistan and India. 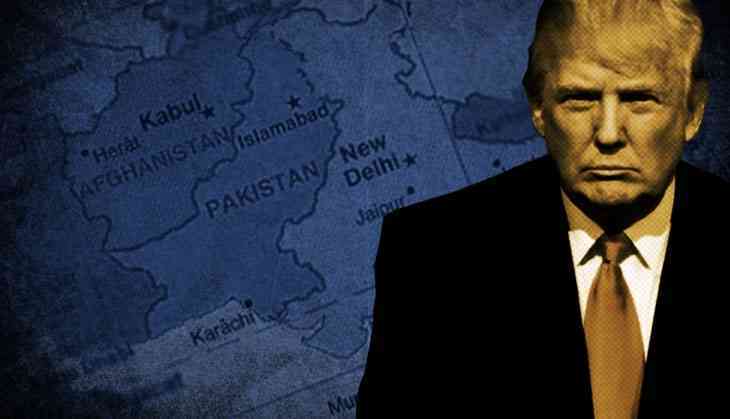 The visit took place while the Trump administration is still to define its approach to the region, but it clearly demonstrated that America's interest in leaning on Pakistan to eliminate its India-oriented terrorist groups is only peripheral. Its regional preoccupation, naturally, is to stabilise Afghanistan and end America's longest war. Consider these: a short TV interview in Kabul and two brief statements, one in Islamabad and the other in Delhi. This was a direct and strong message, but despite using the word “elsewhere” after Afghanistan, India should not take satisfaction, for such indirect and diffused messaging is meaningless. Neither in Islamabad nor in Delhi did McMaster interact with the media. US embassies in both capitals issued brief statements on his visit. The Islamabad statement noted that McMaster “stressed the need to confront terrorism in all its forms”. This is pretty tame stuff after the direct admonition in Kabul. In the Delhi statement, the perpetrators of terrorism were simply ignored. India-Pakistan cooperation on counterterrorism was mentioned in passing. In Kabul, where Pakistani interference through the terrorism of the Afghan Taliban hurts America directly, McMaster conveyed a stern message. The signal was diluted in Islamabad, but in Delhi, no public signal was given at all. This is line with US President Donald Trump telling the American people that he was elected to look after their interests and not that of the world. Indian policy makers must draw the right conclusions from this varied public signalling. The primary object of McMaster's trip was to focus on Afghanistan. It is abundantly clear by now that Russia has locked horns with the US on Afghanistan. It has shed its reticence and has returned to the Afghan stage. Indeed, McMaster's trip coincided with the Moscow meeting on the Afghan situation — the third organised by Russia. The US was invited to the meeting, but declined to attend, dismissing the Moscow process as a “unilateral Russian effort to assert influence in the region”. At the same time, it kept the door open to have a dialogue with Moscow on Afghanistan. All the regional countries that have an interest in Afghanistan participated in the Moscow meeting. These included China, Pakistan, Iran, India and the Central Asian Republics. If Russia succeeds in establishing a competitive international process on Afghanistan, it will potentially undercut US influence in Afghanistan and the region. The US wishes to rule this out. One objective of its bombing an ISIS-held enclave in Afghanistan's Nangarhar province with the most powerful non-nuclear bomb to ever be used was to send a message of determination and intent to Russia and the region. The US has declared that it will rid Afghanistan of ISIS in 2017. Russia is apprehensive of ISIS in Afghanistan, fearing that it will use it as a base to fan out into Central Asia. This is far-fetched: for the movement, it simply does not have that strength. Nevertheless, there is a coincidence of interests on ISIS between the two powers and the regional countries as well, even if no one will openly acknowledge it. The US-Russian divergence is on the latter gaining influence in Afghanistan per se, and the game it is playing with the Taliban. As of now, there is no basic difference between Obama and Trump's initial position on the Taliban. Both stress that they must engage in political reconciliation with the National Unity Government (NUG). Both support the NUG's military efforts against the Taliban, who are determined to continue fighting. The difficulty is that the Taliban sense that a victory for the NUG, even with US support, cannot defeat them. The military situation has, according to the US military, reached a “stalemate”. The question is: will Trump seek to break it? It is here that Russia's support for the Taliban and its approaches towards Pakistan can cause fresh difficulties for the Americans. The fact is that as long as the Americans are unwilling to enter Pakistan to end the sanctuaries that the Taliban enjoy, the essential status quo will continue. McMaster's advice to Pakistan will be brushed aside by the generals, as all such advice has been for over a decade. This is illustrated by Pakistan publicising that Army chief Qamar Javed Bajwa refuted the charge that Pakistan employed proxies. The Chinese, and now, to an extent, the Russians, are providing Pakistan an insurance of sorts on the Afghan issue vis-a-vis America. Will India be drawn in to take sides as Trump and Putin square-off in Afghanistan as part of their global contestation? That is a possibility that India must avoid at all costs. India is respected in Afghanistan for being an independent power and a friend of the country. India's assistance programme is popular and should be pursued. The Narendra Modi government has done well to provide security assistance to the Afghan forces. This also needs to continue, in keeping with Afghan requests. President Obama changed America's position of discouraging Afghanistan to seek Indian involvement in the security sector on account of Pakistani sensitivities. Trump is unlikely to change this approach. India's basic political support for the NUG must remain strong. At the same time, it must have no reluctance to engage all Afghan groups, including the Taliban. This does not imply support or their formal recognition. To remain a player in the Afghan game, such an opening will not be contrary to Indian interests.